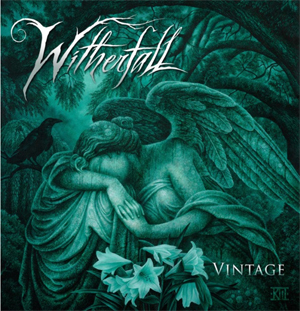 WITHERFALL Release TOM PETTY Cover Video For "I Won't Back Down"
US dark melodic metal act WITHERFALL have released their cover of Tom Petty's "I Won't Back Down". The cover song will be a part of the acoustic Vintage EP release, out on March 22, 2019 via Century Media Records. You can watch the full video on KNAC.COM HERE. "During the final writing sessions of A Prelude to Sorrow, Joseph Michael and Jake Dreyer stumbled upon doing a darker version of "I Won't Back Down" by Tom Petty. The song was recorded during the Prelude Sessions at Boogie Tracks Recording studio (featured in the music video) in Jake Dreyer's hometown of Panama City, Florida. A few weeks after the record was finished Hurricane Michael, a category 5 and largest hurricane to hit the Florida Panhandle in recorded history came and destroyed Panama City, Mexico Beach and Boogie Tracks Studios. Also destroyed was the dock that was home to many wine soaked writing sessions for both Nocturnes and Prelude. The dock can be seen during both "Ode To Despair" and "I Won't Back Down" solo sections. The Before and After is a haunting reminder that nothing is permanent. We hope this song and video serve as a tribute to the Florida Panhandle and the perseverance of the people living there in rebuilding their communities," states WITHERFALL about the release. The Vintage EP is available for pre-ordering now with WITHERFALL offering an exclusive green "Verdigris" vinyl limited to 200 copies alongside t-shirt bundles. The transparent-magenta "Vintage Pinot Noir" vinyl, limited to 100 copies, is already sold out from Century Media's European Store.